2nd Gear: OK, we'll say it again — your Japanese cars are not radioactive. That isn't stopping Nissan from announcing that there are no traces of contamination in its products, according to spokesman Simon Sproule who told Bloomberg that by phone. But just to allay fears from ridiculously stupid Americans, Nissan has this week initiated the monitoring of vehicles made in Japan for any traces of radioactive material. 3rd Gear: General Motors will suspend production at its Shreveport, La., assembly plant starting Monday because of a parts shortage stemming from the earthquake in Japan. The move appears to make it the first North American assembly plant to be idled because of the Japanese disaster. 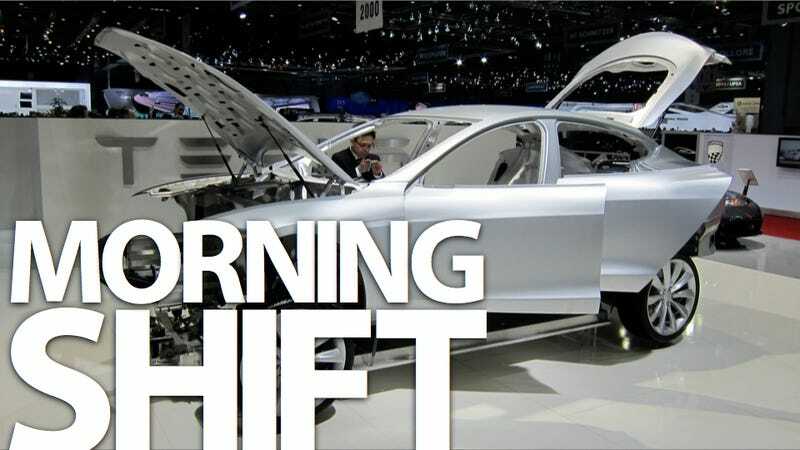 Expect more to come as the earthquake proves just how global the auto industry has become. 4th Gear: Bloomberg reports Tesla Motors as saying its battery-powered sedan that goes on sale next year will be profitable even on the base model that will sell for $57,400. That price will be the entry point after the first 1,000 "Signature Series" of its all-electric Model S sedan built next year sell for at least $20,000 more than the base model, the company said March 7th. All grades of the car will make money, said J.B. Straubel, Tesla's chief technology officer. He continued by saying that Tesla next plans to surgically attach wings to pigs. 5th Gear: GM is again shaking up its management ranks, with another round of appointments announced Thursday in vehicle development. In addition to changes in Europe, GM is shuffling some key leaders in product development as the automaker's new product chief, Mary Barra, begins to put her stamp on this crucial area of the business. 6th Gear: UK's Car magazine spotted Vauxhall's new hot hatch — the near-300 HP Astra VXR taking some laps at the Nurburgring. Although we still haven't heard precise figures on it, we're expecting almost 50 horses more under the hood than the equivalent Focus ST. To control the power you'll also get a six-speed manual gearbox, upgraded suspension and a big brake kit. It's not coming to the United States, of course, when it's officially unveiled in Spring of 2012. I don't care. Do want. Do want badly.